1854 saw woodburners, while the end of the Twentieth Century witnessed two-mile long freights pulled and pushed by 30,000 diesel horsepower. 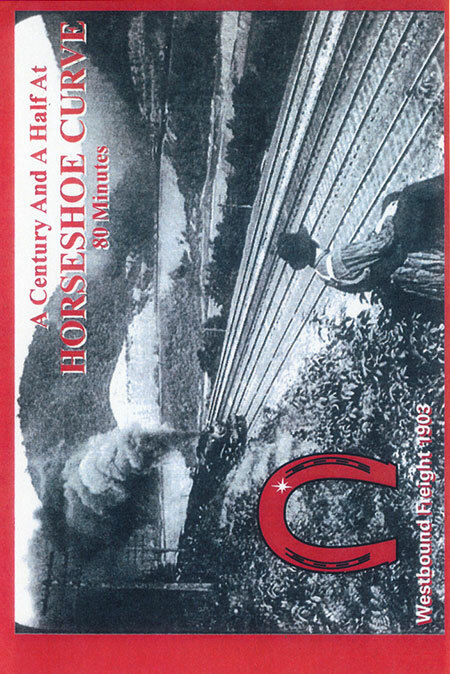 One constant has been HORSESHOE CURVE, the vital link between East and West. 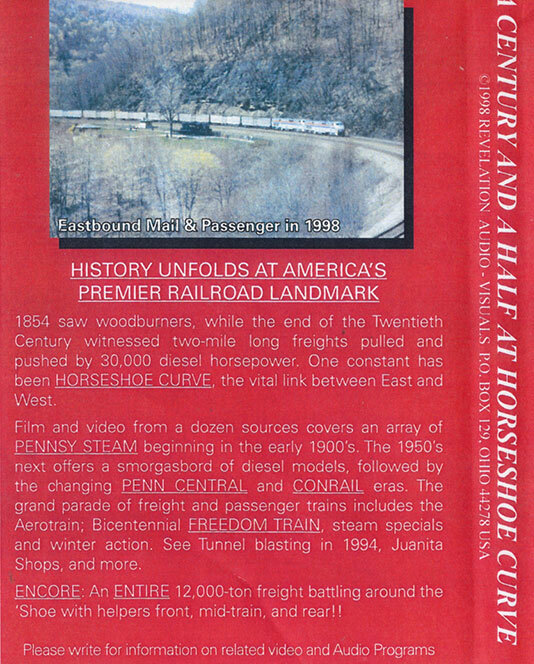 Film and video from a dozen sources covers an array of PENNSY STEAM beginning in the early 1900�s. The 1950's next offers a smorgasbord of diesel models, followed by the changing PENN CENTRAL and CONRAlL eras. The grand parade of freight and passenger trains includes the Aerotrain; Bicentennial FREEDOM TRAIN, steam specials and winter action. See Tunnel blasting in 1994, Juanita Shops, and more. ENCORE: An ENTIRE 12,000-ton freight battling around the �Shoe with helpers front, mid~train, and rear! !